MAC Filter is an advanced feature. Contact your local IT administrator prior to altering this setting. 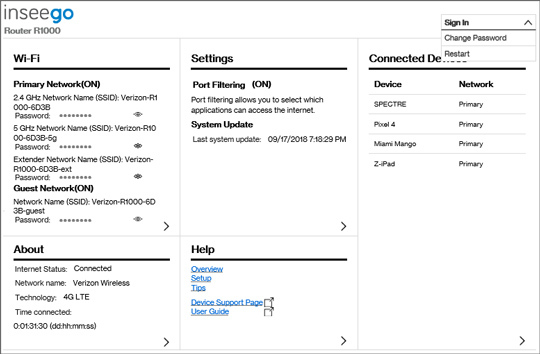 If turned on, only the devices added to the MAC address filter list can access the Wi-Fi network. This MAC filter has no effect on the guest Wi-Fi network or devices connected by Ethernet cable. From Settings, click the Advanced tab then click Continue. Click the MAC Filter tab, click the MAC Filter switch to turn on o desactivar . 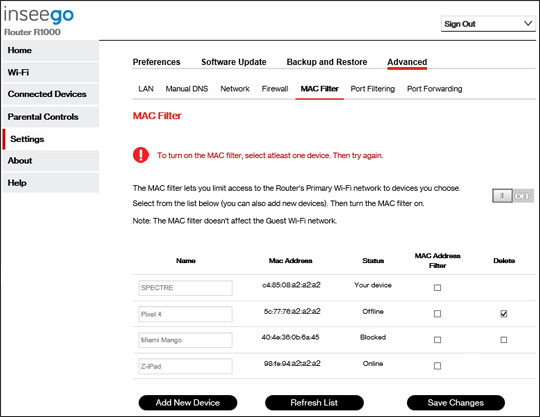 From the MAC Address Filter column, select the desired device to filter then click Save changes.